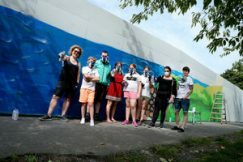 The Boards and Executives of Our Lady’s Children’s Hospital Crumlin, Temple Street Children’s University Hospital, Tallaght Hospital and the Children’s Hospital Group welcomed the announcement by the Minister for Health of the approval of Government of the General Scheme for the Children’s Health Bill 2017. 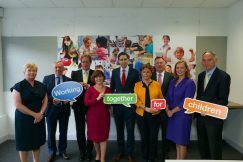 The Boards and Executives of Our Lady’s Children’s Hospital Crumlin, Temple Street Children’s University Hospital, Tallaght Hospital and the Children’s Hospital Group (CHG) today welcomed the announcement by the Minister for Health of the approval of Government of the General Scheme for the Children’s Health Bill 2017. The Children’s Health Bill will provide for the establishment of a new entity in which the three children’s hospitals and the Children’s Hospital Group will come together.